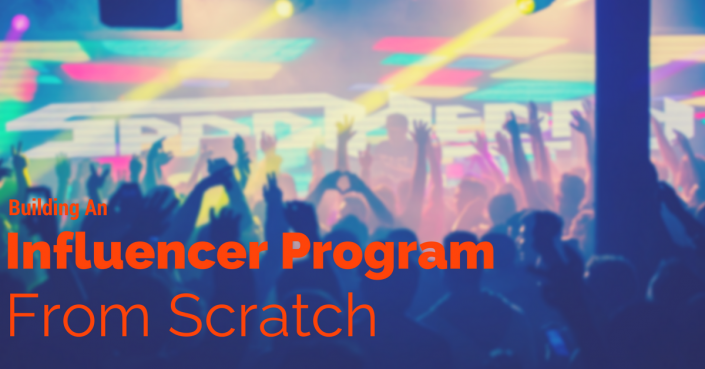 See how Harmonix used Sideqik to launch an influencer marketing program for Rock Band 4 and generated community engagement, brand awareness, and product desirability. 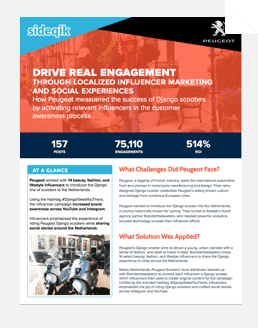 See how Peugeot used Sideqik to promote their Django line of scooters in the Netherlands with beauty, fashion, and lifestyle influencers to increase brand awareness and encourage grass-roots engagement. 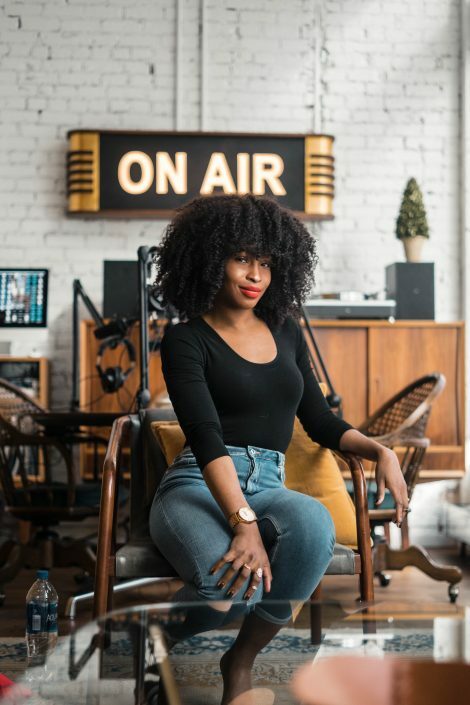 Coca-Cola uses influencers to connect with digital natives and create brand love around specific passion points. 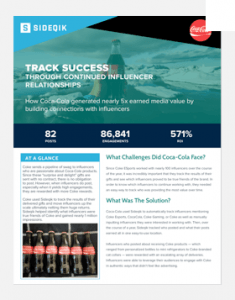 This case study looks at how Coke vets influencers over the course of a year through product deliveries and how Sideqik helped them measure the results. Major League Lacrosse wants to expand its influence and gain a stronger fan base. 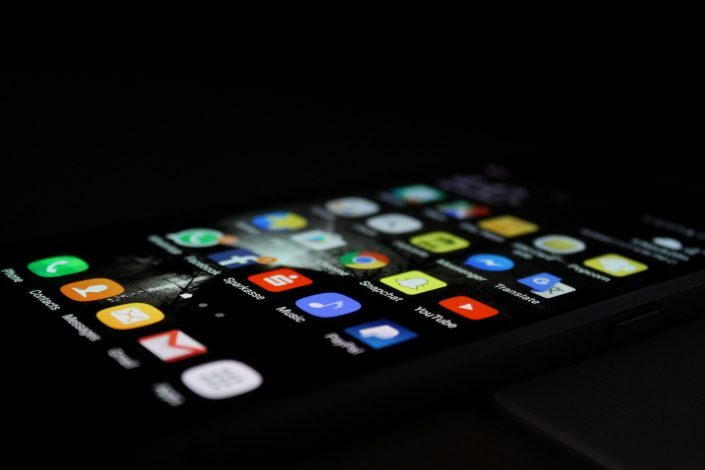 Sideqik works as a tool to measure the success of Ohio Machine partnerships with other brands as well as helping monitor the success of players’ social media. 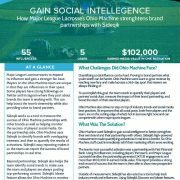 On the partnership side, Ohio Machine uses Sideqik to identify brands with overlapping interests, and then to quantify the results of activations. Sideqik’s easy reporting makes it so the team can report the success of brand partnerships in real time. Like any other form of marketing, influencer marketing is about driving results. 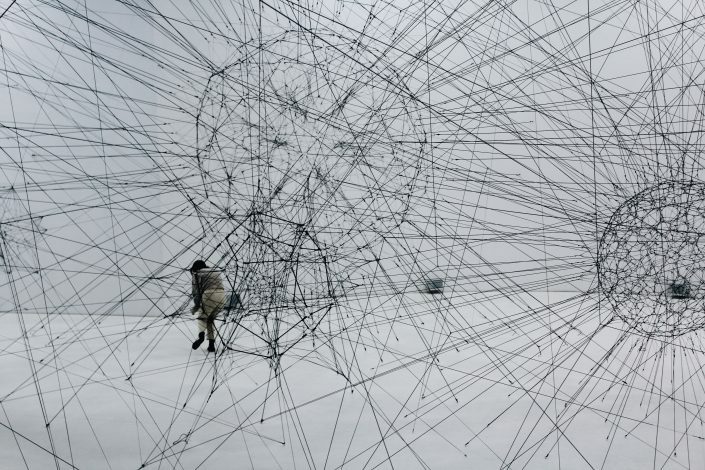 But how can you create a scalable program if you don’t know how to define success? 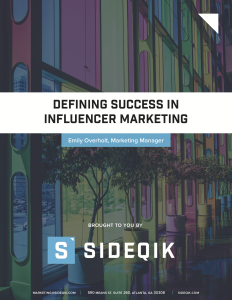 This eBook will walk you through how to measure success in influencer marketing, from goal setting, to defining conversions, to measurement, to best practices, tips and tricks. Sideqik is excited to share the wisdom we’ve gained from our successful customers with you.course of a year through product deliveries and how Sideqik helped them measure the results. 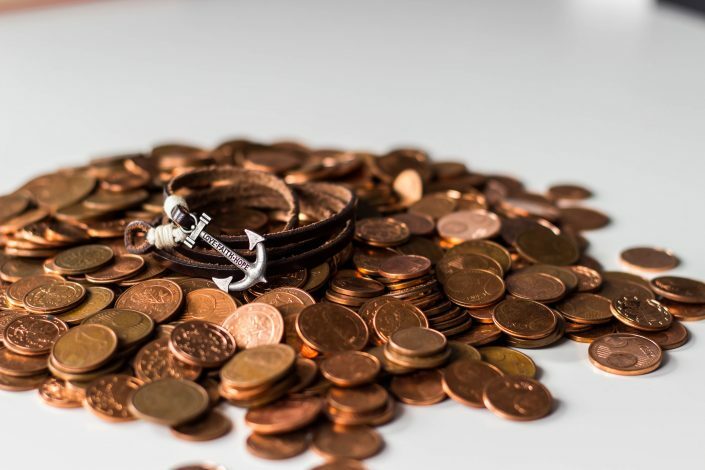 Influencer Network or Influencer Marketing Platform: Which Do I Need? Almost there! We need some information to let you see the eBook!